Kings College was started in 1968 and our computer division which started its operation in 1986. 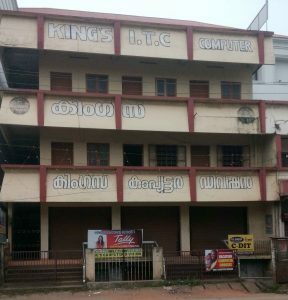 Kings computer division began their journey with a mission to provide quality computer training courses at affordable prices to the masses. Our computer training division was started by a group of professionals with great work experience in the field of education sector. Each and every member of our team is committed to achieving above qoal by the deliverance of top quality it training to the students. We provide top quality computer training at a very high standard at a very low cost. Our aim is to create a pool of top quality and top notch it professionals who will meet the demanding needs of various organizations for tomorrow?s challenges. Our computer training methods have been maximized with ?learning? rather than ?teaching? through the well-equipped computer lab. With structured combination of theoretical and practical classes, reinforced with most advanced computers in our lab. We strongly believe that training in the latest computer softwares combined with life-long learning is the important ingredients for building a successful career in the IT sector. Students who are trained in a multi-cultural environment providing student-cantered interactive learning which is centered on today’s electronic business world. Our computer training division emphasis is given to the maximum extent on the software learning by maximum practical learning through simulated projects designed to the needs of todays industry. ?Practice makes a man perfect?, it is a belief that is unanimously shared at our centre. This is quite evident from the fact that the our six month Diploma courses offer more computer time than theory, a popular concept in modern education. In 1999 our computer training division was approved by C-DAC, MINISTRY I.T, and GOVERNMENT OF INDIA to conduct its various short term it courses. In 2002 our computer training division got the approval of the internationally reputed TALLY ACCOUNTING SOFTWARE COMPANY to do its various computer accounting programs and short term tally courses. For the last thirty years, kings computer division has provided many students with industry-leading technical training that delivers the most relevant and intuitive computer training courses and certifications. We at Kings are committed to creating globally competent IT professionals through our innovative training methods, advanced courses, exceptional faculty and thought leadership in software training education. Our software training and best practices are benches marked along international lines. We are grounded by the foundation and values of our past but are youthful and progressive in our present and will continue in the future. All our endeavors at Kings computer division are to create opportunities for our students, employees, business partners to lead a better life. So, if you’re in seeking to learn computers whether it is computer basic, computer languages, online marketing, Graphics, Web Designing then u are at right place .Visit our Training Centre or contact us for quality training Today in Kerala. 40 queries. 1.828 seconds. Zindi theme.